Each monthly rehearsal studio has its own air conditioning system and heating system. All controls are located in each individual studio. 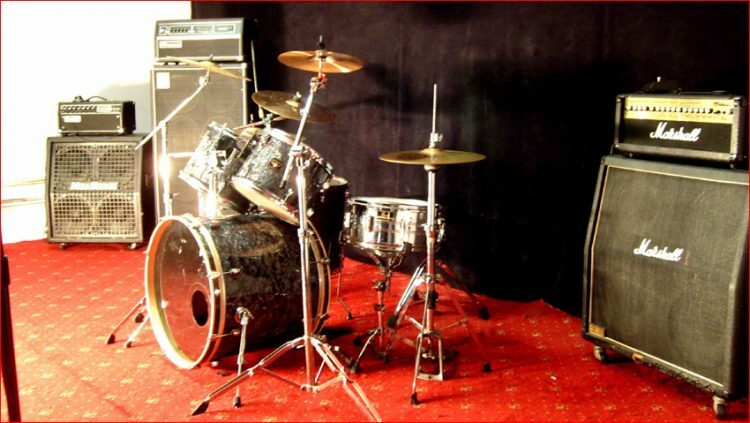 NOTE- The monthly rehearsal rooms are not equipped with any band equipment. The picture is shown equipped to display how the monthly rehearsal studio will look equipped with your gear. This room is for rent on a monthly basis. Please call us to enquire about rates and availability.